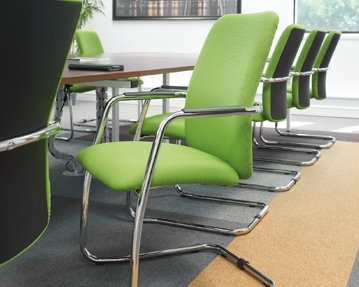 At Furniture At Work, we offer a wide range of cantilever office chairs. 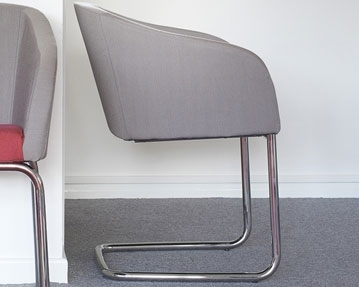 Unlike a traditional design with four legs, this style of chair has an L-shaped framework that holds the seat in place. 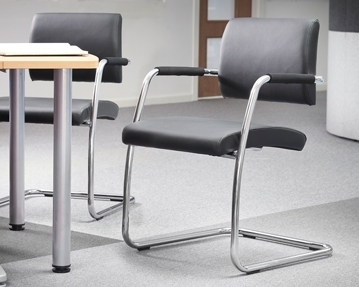 Our cantilever seating solutions are perfect if you’re looking for stylish yet supportive chairs for your workspace. All of our cantilever chairs have been designed with you in mind. Each model features a strong, sturdy metal frame and supportive back and seat sections, meaning you can sit comfortably for long periods of time. You can take your pick from designs with or without armrests. Our collection includes cantilever style chairs with soft leather seat and back sections, as well as designs with stylish mesh backs. We also stock cantilever chairs that have been upholstered using high quality fabric, and you can take your pick from our designer cantilever chairs too. To make sure your seats complement your office decor, you can choose your preferred colour. Our office chairs are available in a wide variety of different hues. We have everything from sleek and sophisticated black, grey and white designs, to fun, bright models in lime green, pale blue and vibrant orange. 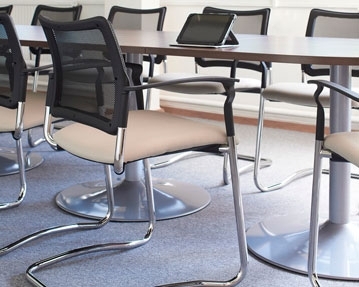 For help choosing cantilever chairs for your workspace, don’t hesitate to get in touch with our team today.